New research from JCDecaux highlights 'brand gap'. Marketers will invest more in brand-building, rather than short-term performance, as established media channels such as out-of-home and TV become digitised. That’s according to a report by Work Research for OOH company JCDecaux that claims many marketers are still overinvesting in short-term activation such as search and social media, and the report identifies what it calls a "brand gap" because of underinvestment in brand-building. Justin Gibbons (pictured, below), founding partner of Work Research and co-author of The Brand Gap report, said most marketers are familiar with IPA research from Les Binet and Peter Field that found brands should maintain a 60/40 split between brand-building and short-term direct response to deliver long-term growth, but they are failing to heed that advice. "There is no sign of a big recalibration away from digital channels," the report said, noting that investment in search and social continues to rise. "Instead, the [established] media channels that will do best are the ones that can adapt the most effectively. Our research heard that OOH and TV were the two channels most developed for the digital world." Work Research surveyed 123 media agency staff, 10 agency heads and 10 advertisers, and 80% said OOH was "well developed" as a digital medium, ahead of TV (74%), news brands (71%), radio (50%), cinema (49%) and magazines (39%). Gibbons, who unveiled the research at JCDecaux’s upfronts, an annual presentation to advertisers, said there needs to be a "behaviour change" among marketers and agencies, and suggested two steps: better briefs for agencies and a greater willingness to test and learn. "Behaviour change is hard," Gibbons admitted. "One first easy step is getting briefing better. 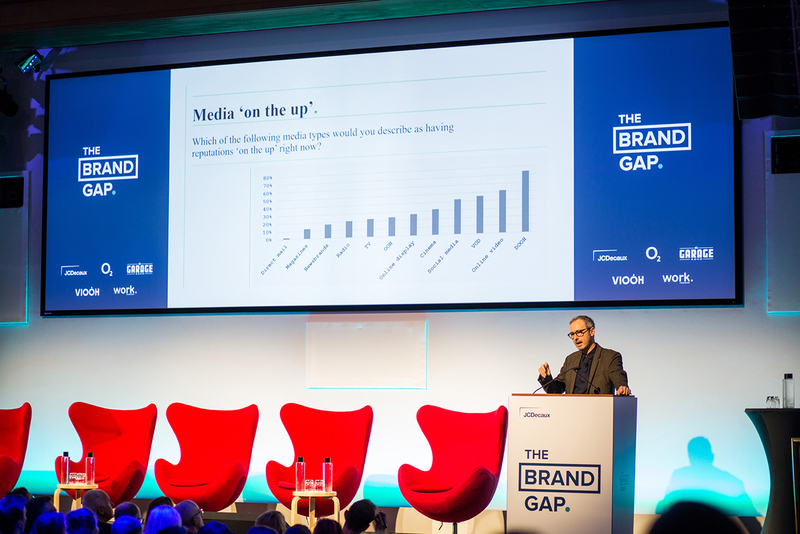 "Creative and media being a bit more closely briefed and working together in a different way creates a more joined-up brief – that’s not one where brand and performance get separated but actually where they can live together." He went on: "Test and learn seem to be all about test and nothing about learning. The testing metrics are just bonkers. Everything’s being tested in just 24 hours. Actual learning does take a bit of time. Otherwise you’re just testing ‘in the moment’." 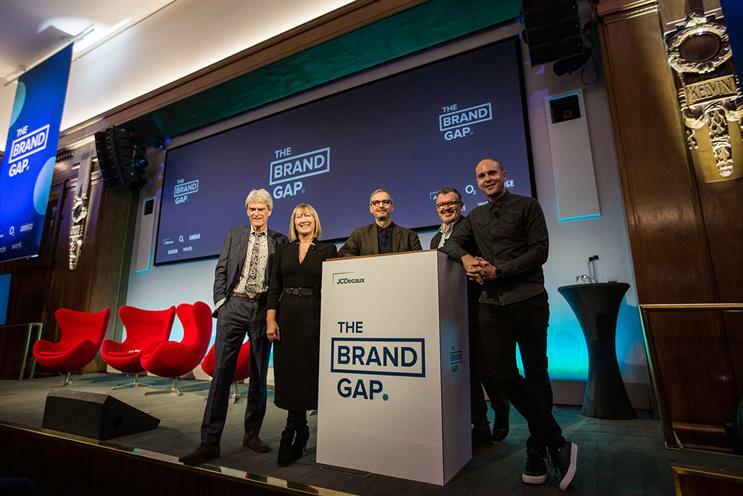 Sir John Hegarty, the veteran creative and co-founder of Bartle Bogle Hegarty, Simon Valcarcel, head of creative and media at O2, and Jean-Christophe Conti, chief executive of VIOOH, JCDecaux’s programmatic trading marketplace for OOH, also spoke at the upfront. Conti said there is "massive potential" for digital OOH, citing Enders Analysis’ forecast that DOOH and connected TVs could generate £200m in ad revenues in the UK alone by 2020. JCDecaux, the world’s biggest OOH company with an estimated 36% share in the UK, faces a new competitor after radio group Global bought three companies – Exterion Media, Primesight and Outdoor Plus – in the space of three weeks and now has about a 32% share of the UK market. Conti joked in his presentation that he was not going to speculate "about what company Global is going to buy next week". JCDecaux, which is listed on the French stock market, has expanded its own war chest for potential deal-making, after last week arranging for up to €1.3bn (£1.15bn) in additional bank financing to cover the cost of its acquisition of APN Outdoor in Australia and €500m for "future needs".